Touted as worlds advanced desktop OS, Mountain Lion is said to have more than 200 interesting features. 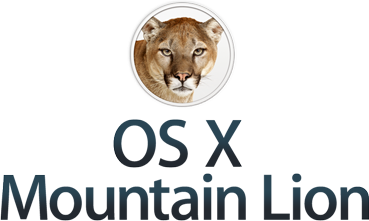 Are you tired of tweaking your Mountain Lion OS X from Apple? Of course not! For all of you rearing to personalize your Mac, here are some best and interesting tips, tricks and tweaks for OS X Mountain Lion operating system which will helps you to enhance and boost speed of work with more accuracy. Hate the leathery appearance of your Address Book? Well so do we. If you are a part of the club that hates to see leather appearance on their Mac Address Book and iCal, then you’ll be delighted to discover Lion Tweaks. It is a free tool with which you can easily remove the leather appearance of your Address Book and iCal. Revert to the more traditional aluminum look with simple installers. Or keep changing between these two appearances if you are unable to decide if you like faux leather or aluminum. In Mac OS X any Finder window has the ‘View’ option in the toolbar unless of course it’s been disabled. That means you can select how you are going to view your information; lists, columns, or Cover Flow. Even when you have selected to use this type of view permanently, you may sometimes find that this is not the case. Using certain command lines you can change the view style of the Finder window as easily as ever. Don’t we all like a modern minimalistic appearance to OS X? Since Mac OS X doesn’t come with built-in themes, you are at liberty to create themes. Go for retro-classic theme or iOS like theme, anything to suit your style. Let’s give a modern grayscale tinted theme to Mac. How do you do it? With the free Menu Bar Filter Tool you can change the menu bar to a darker shade. Change the color of action buttons to silver and choose a slight variation of grey as the highlight color. Change the color of the wallpaper; simply hide the desktop buttons to further the minimalistic approach. Voila you have given a modern minimalistic look to your Mac. Want high resolution wallpapers to your Mac? With InstaWP, a free service, you can create your own wallpaper collages from Instagram photos! Instagram has some amazing pictures and a collage will sure make your desktop look better. To do this, just put in a username, category and adjust a few settings in InstaWP panel (number of cells in the collage and such) and create your own personalized HD wallpaper. Do you love the place you live at? How about enjoying an aerial view of your home? Satellite Eyes is a free app that adjusts your desktop wallpaper to the satellite image of the place you are currently in. Are you at home? Your desktop background image must be showing the satellite image of your neighborhood. Travel to your work; travel across the country or around the world, your desktop background keeps pace with you. Tweak your Mac OS X with these ideas and make your experience with Mac OS X much more interesting than ever before. Personalize your Mac and enjoy the difference.